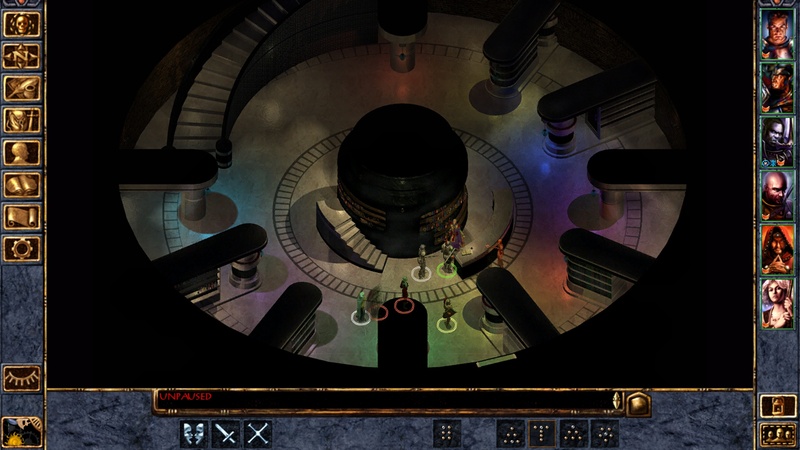 "It's Baldur's Gate." 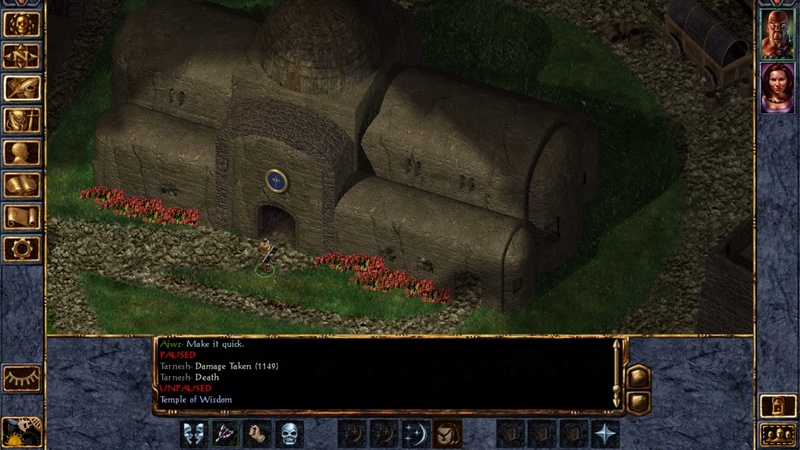 Any review that begins with those three words is starting from a position of serious strength. 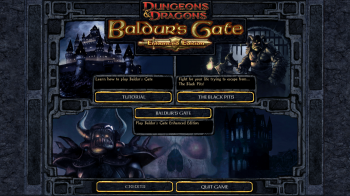 Originally released in 1998, Baldur's Gate brilliantly captured the Dungeons & Dragons experience in a single-player videogame and today remains one of the most important and influential RPGs ever developed. 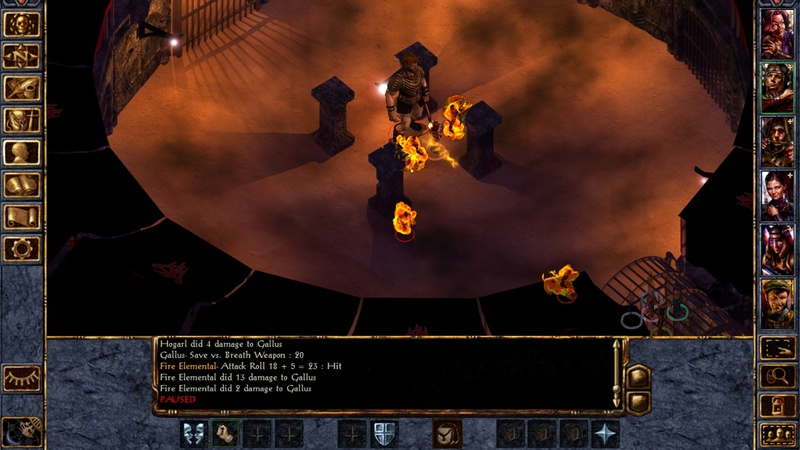 The developers of the Baldur's Gate Enhanced Edition wisely chose not to tamper with a classic too much. 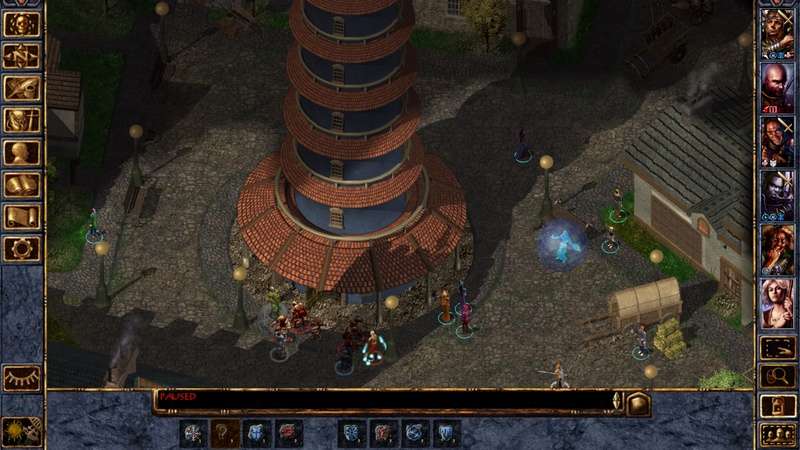 It's Baldur's Gate. That's not to say they didn't mess with the formula at all. 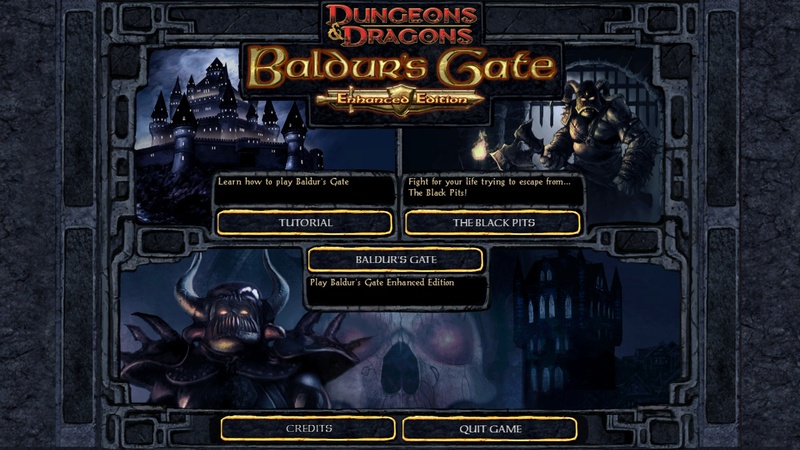 Launching the Enhanced Edition reveals options for a new tutorial segment, which duplicates the material covered by the tutor monks of Candlekeep in a harder-to-miss but much less organic fashion, and the Black Pits, a combat arena run by the powerful Drow known as Baeloth the Entertainer that pits six NPCs under your control, either pre-made (but not Baldur's Gate characters) or custom generated, against a succession of increasingly difficult groups of enemies. 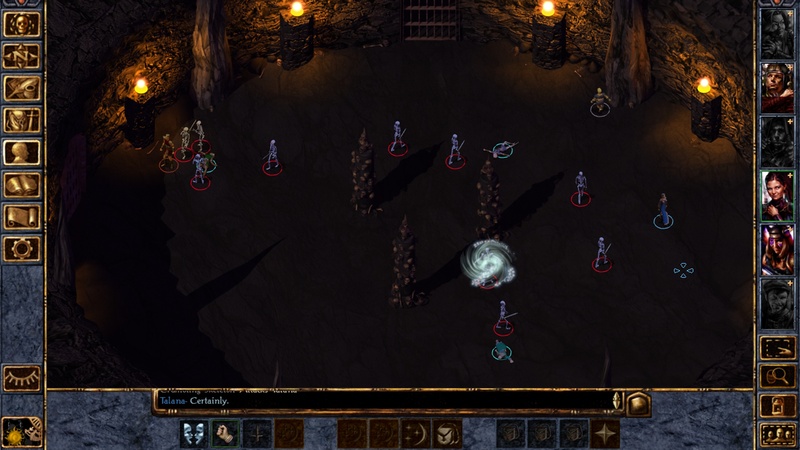 It's well-produced and matches the original Baldur's Gate aesthetic to perfection, but ultimately it's just one open-area battle after another, and wears thin pretty quickly as a result. 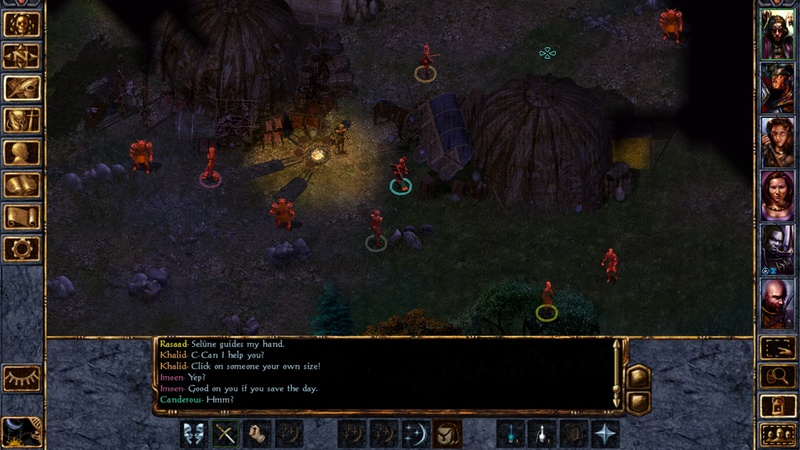 The enhanced Baldur's Gate, meanwhile, begins with an overhauled intro cinematic that does away with the animations of the original in favor of a series of illustrations and mysteriously skips, as veterans of the game will immediately notice, a single yet very important line of dialog. 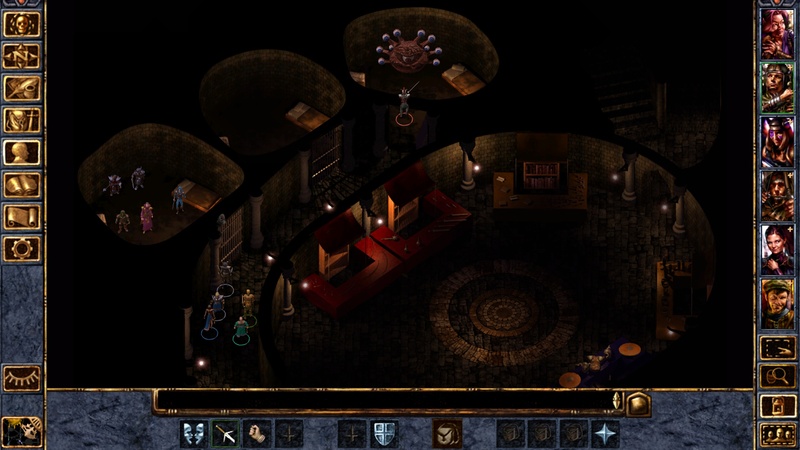 Many other changes will be less obvious if it's been a decade or so since you last wandered across the Sword Coast, but the Enhanced Edition has received a number of visual upgrades including support for high resolutions that provide a far more panoramic view of the game's lovely, lush backgrounds, and a mousewheel-controlled zoom function for quickly shifting to a more down-and-dirty view of the battlefield. 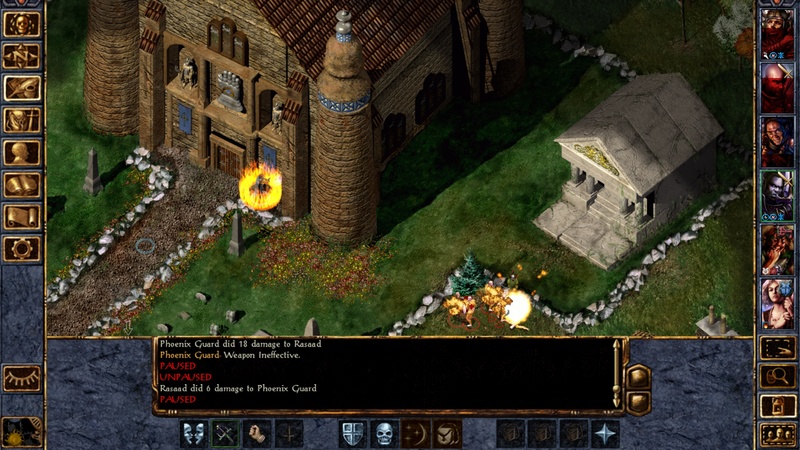 The graphics get muddy at any kind of significant zoom and it doesn't serve much of a practical purpose, but simply being able to do it is a stark reminder that this isn't your daddy's Baldur's Gate. 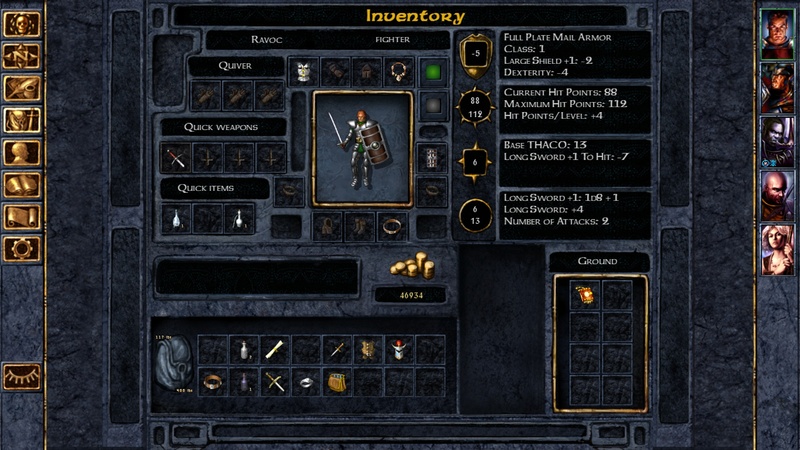 The inventory and character screens have also been redone to be more readable and provide more information about hit points, skills, bonuses and penalties, and the journal, which was previously a nigh-unusuable info dump, is now organized into a proper quest log and diary, complete with options for player-made entries. 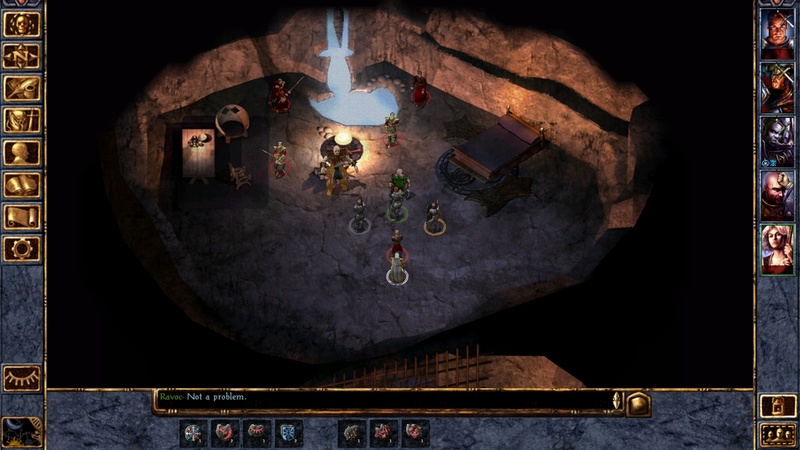 A handful of stylistically distinct new character portraits by Icewind Dale artist Jason Manley have been added to the mix, and new character classes and class kits are also on tap, as seen in the game's three new characters: the Calimshite monk Rasaad yn Bashir, the half-elf wild mage Neera and Dorn Il-Khan, a half-orc Blackguard. 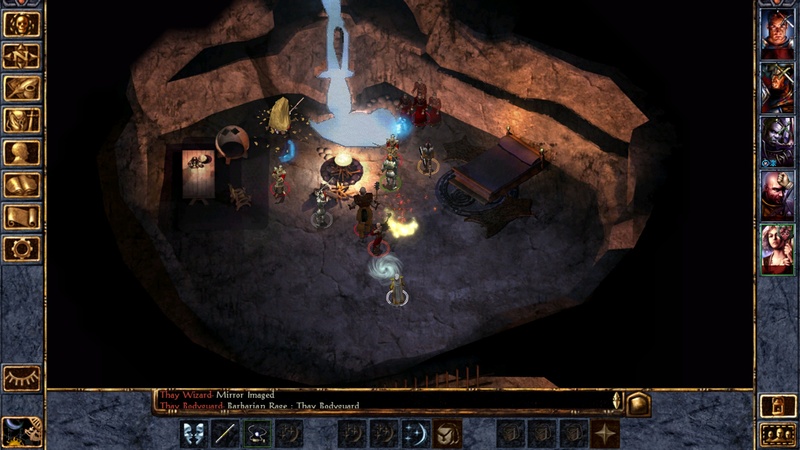 Gameplay, on the other hand, has been left virtually untouched, which means that the modified AD&D ruleset around which BioWare built the game, a system that's been as dead as Amaunator for the past decade, is fully intact. 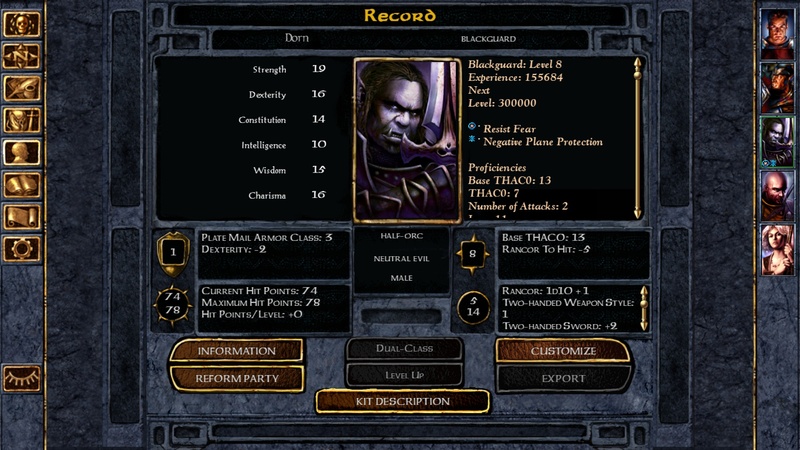 You will learn what THAC0 means; you will push your armor class lower, not higher; you will come to understand why wizards sleep so much; you will wonder why a ring takes up as much space in your inventory as a two-handed battleaxe; and you will die, quickly and often. 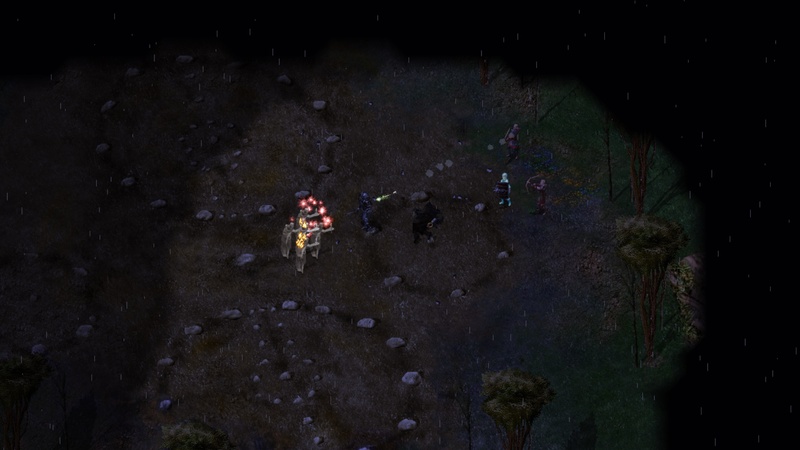 This is not an easy game. 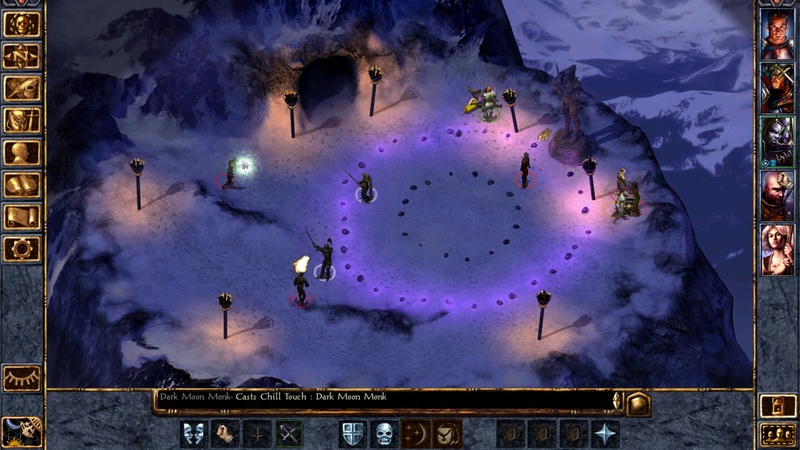 There are five distinct difficulty levels and even at the "normal" setting, the challenge, particularly for newcomers, is considerable.